Actress Shilpa Pokharel is no longer exclusive to Chhabi Raj Ojha after signing in actress Karishma Manandhar‘s upcoming movie ‘Falgu’. Debuting in Chhabiraj Films to replace actress Rekha Thapa, Shilpa acted in three movies of the banner before signing in movies of other banners. Actress Karishma is returning in the film industry as a producer after 14 years. The failure of her last production ‘Babu Saheb’ caused Karishma to leave the industry and go to the USA. Karishma waited years after returning back to Nepal to finally start film production again. Upcoming film ‘Falgu’ features actress Shilpa Pokharel and Subash Parajuli in leading roles. Karishma and Rajesh Hamal will also be featured in meaningful roles supported by Gauri Malla, Basanta Bhatta and Karishma’s husband Binod Manandhar. 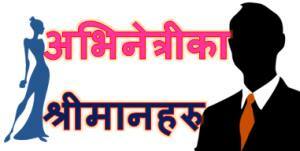 The film is being directed by ‘Megha’ director Samjhana Upreti Rauniar. 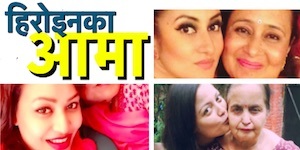 Photo – ‘Falgu’ team producer and actress Karishma Manandhar, actress Shilpa Pokharel and director Samjhana Upreti. 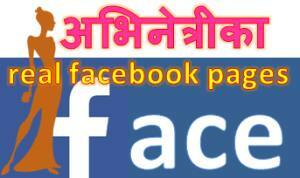 This entry was posted in News and tagged Falgu, Gauri Malla, Karishma Manandhar, Shilpa Pokharel. Bookmark the permalink.